When was the last time you were overawed by God's majesty? Have you ever stood in stunned silence at his holiness and power? In our shallow, self-centered age, things like truth and reverence might seem outdated, lost. Yet we're restless. And our failed attempts to ease our unrest point to an ancient ache for an experience of the holy. Drew Dyck makes a compelling case that what we seek awaits us in the untamed God of Scripture—a God who is mysterious yet powerfully present, dangerous yet accessible. He is a God who beckons us to see him with a fresh, unfiltered gaze. Yawning at Tigers takes us past domesticated Christianity, into the wilds where God's raw majesty, love, and power become more real and transformative than we could ever imagine. Yawning at Tigers is a needed corrective to self-indulgent Christianity. I hope people listen. Convicting, compelling, creative – here's a stirring challenge to experience God in all His awesome glory and breathtaking grace! Invite our holy and loving God to roam freely in your life. Drew Dyck shows that the holiness of God reveals our smallness and God's bigness, our imperfections and God's perfections. We have to be reminded that we are not God before we cry out for God's help. Thank you, Drew, for reminding me of this. I keep forgetting. 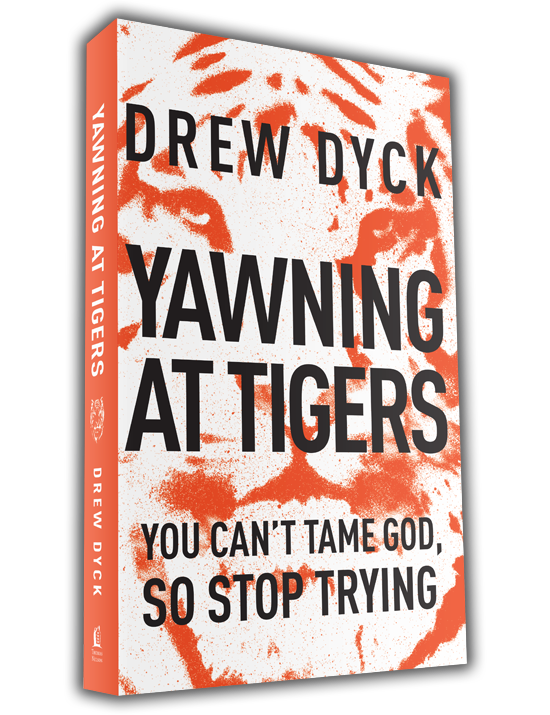 Yawning at Tigers is a sharp diagnosis of the church's cavalier attitude toward God and a fervent and winsome call to rediscover God's beautiful, terrible holiness. This book excites me. Drew Dyck is a bold Christian who is not afraid to use the word "holiness" in a sentence. In this age of religious compromise and weak-kneed faith, it is refreshing to watch young leaders arise who are willing to reclaim biblical Christianity. This book will inspire many to pursue God with courage. From the beginning we've been casting God in our image. But he cannot be tamed by our timid imaginations. Drew Dyck will take you to God's Word so you can see the Father, Son, and Holy Spirit as utterly holy and perfectly loving—our only hope for salvation. Drew Dyck possesses a skill for seeing connections between everyday experiences and spiritual reality. This book made me long for further encounters with the untamed God. Drew Dyck has written one of the most beautiful and easiest to understand portrayals of God's majesty, power, and size. 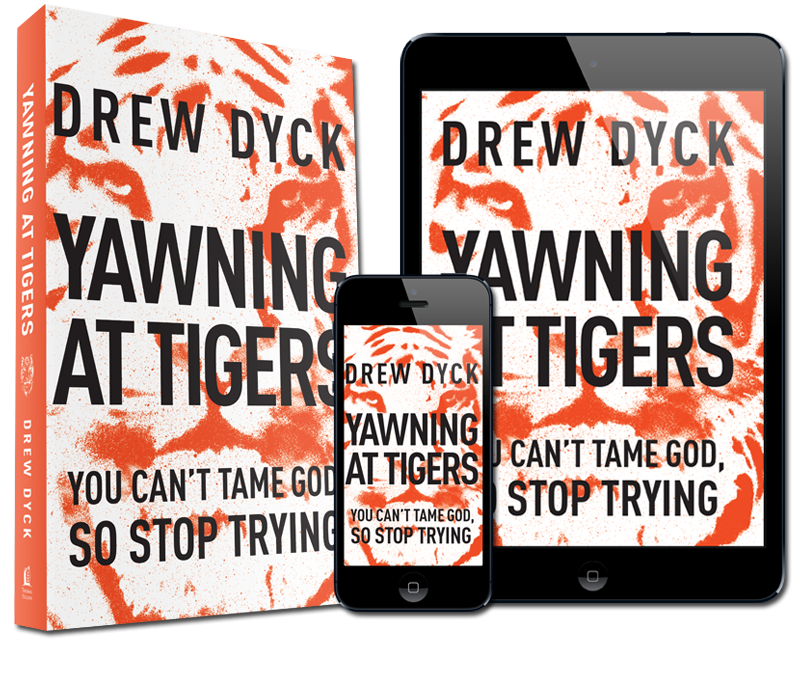 You'll gain a completely new perspective about God after reading Yawning at Tigers, a perspective that will draw you closer to our powerful, but loving Father. A perspective that will transform your life, give you strength to turn away lesser gods, and inspire you to break free and let the Almighty lead you on a wild new adventure. Fifty years ago, A. W. Tozer warned that "The fear of the Lord is a fountain of life, but this healing fear is today hardly found among Christians." Conditions have only gotten worse since then. Thankfully, Drew Dyck has stepped up with this book. It's lively, provocative, and made me want to pray. Read it, and you may find yourself falling to your knees in prayer. Drew Dyck articulates the man-centered obsession of the Western church and calls us to bow in reverence and awe at God's breathtaking holiness and love. Drew Dyck challenges the reader to revere God as he truly is: impressive, weighty, and holy. Dyck deftly weaves together modern illustrations with scriptural insight to paint a powerful picture of a loving and powerful God and Father. Yawning at Tigers reminds us that we are made for so much more than service as shabby idols for self-worship. Thin notions of God's transcendence are undermining the church's vitality and witness to the world. Yawning at Tigers is a strong antidote against a domesticated God. 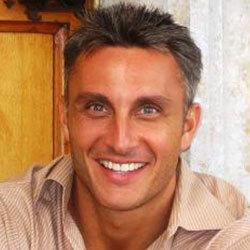 Drew Nathan Dyck is managing editor of Leadership Journal, a publication of Christianity Today. 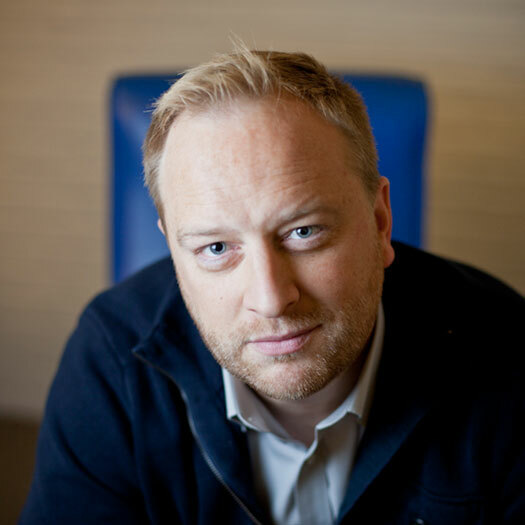 His work has been featured in USA Today, The Huffington Post, and The Washington Times. 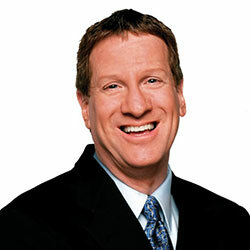 He is a frequent speaker at pastor conferences and on TV and radio programs in the US and Canada. He holds an M.A. 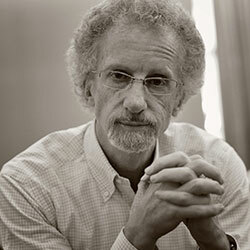 in Theology from Fuller Theological Seminary. He lives with his wife, Grace, and son, Athanasius, in the Chicago area.